This video tutorial is going to show how to edit text using Notepad++ editor in JS Animated templates. 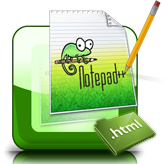 Download Notepad++ editor from the official site using the requirements which your engine needs. You can learn how to download and install the editor following this link: how to download and install Notepad++. 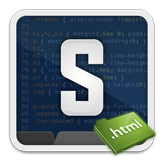 Notepad++ is a text editor and source code editor for Windows users. 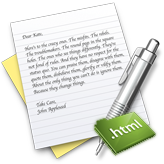 Unlike Notepad, the built-in Windows text editor, Notepad++ supports tabbed editing which allows working with multiple open files in a single window. Alternatively, you can use drag and drop method and transfer the file from server folder to your computer using FTP connection. Now you can see the file on your computer and you can start editing. Now we are going to change text on the front page of the website. 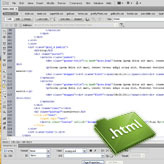 Every website page has its own original html page, for the front page it is index.html file. You can open multiple files and edit them simultaneously. Make sure that you have allowed to Overwrite the original file. Only after overwriting we can see all changes on our website. Go back to your website and refresh the page with text that you have changed. Now you can see that editing was successful. 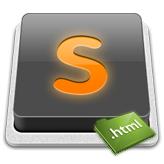 This entry was posted in JS Animated tutorials and tagged editor, notepad++, text. Bookmark the permalink.